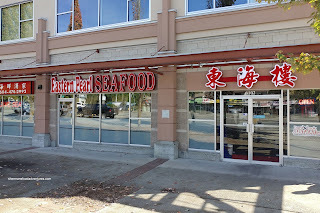 When I first spotted posts on Eastern Pearl, I actually thought it was referring to the restaurant located in Redmond, WA. At that time, I had just visited the place after our flight back from San Diego during Christmas time. 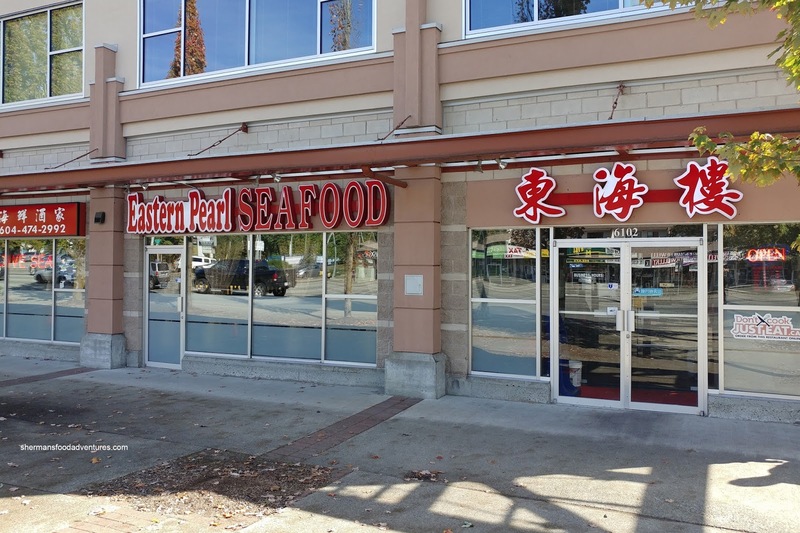 Alas, the Eastern Pearl that was on IG referred to the newly opened spot in PoCo on the corner of Lougheed and Shaughnessy. 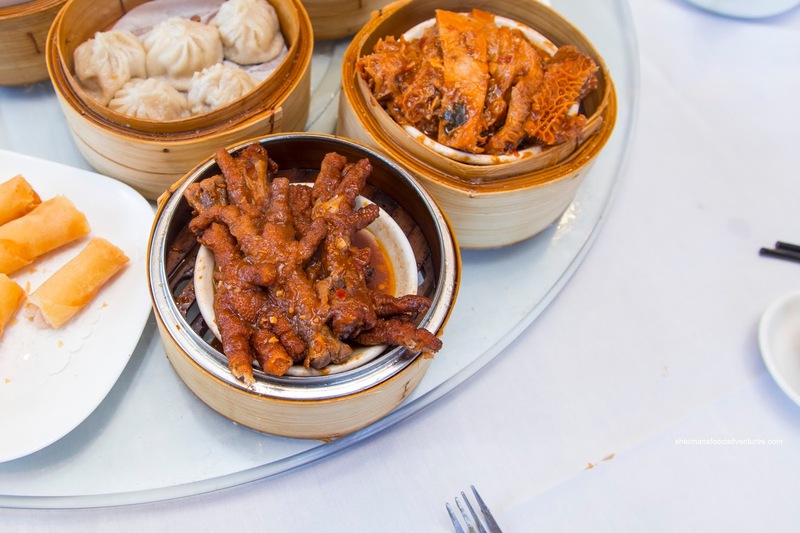 More than half-a-year later, we finally had a chance to make it for their Dim Sum service. We wanted to make a reservation since we heard how busy they can be, but to no avail. Either they had their phone off the hook or something was amiss as we couldn't get through the day before or the day of. No matter, we went later and snagged a seat within 10 minutes. Once seated, we noticed that the renovations had removed the booth seating in favour of a open dining space (good for banquets I suppose). 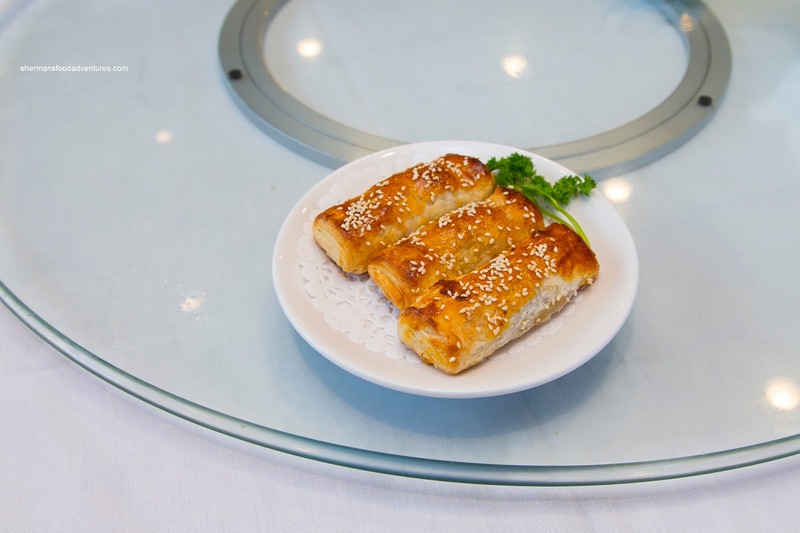 We got down to ordering and were served the BBQ Pork Pastry first. From the outside, it looked like any other version with a flaky and super buttery (or lardy) pastry. Inside, we were surprised to find a considerable amount of Japanese pickled ginger mixed in with the lean BBQ pork. As a result, the flavour profile was completely that of the ginger being sweet with a sharp tanginess. Next, the Beef Meatballs looked a bit too pale for our liking. The reason for this was the considerable amount of baking soda which made the texture too light and fluffy. There was no meat texture left. It wasn't mushy though, which saved the dish from being a bust. In terms of taste, the ample dried tangerine peel and seasoning kept the baking soda flavour from being at the forefront. 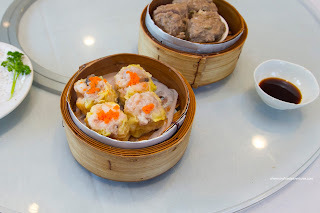 By appearances alone, the Siu Mai (Shrimp and Pork Dumplings) seemed to be on point. In fact, it was really good featuring a buttery and bouncy texture where the meat was light and loose. The flavours were sweet and briny with the full woodsiness of the shiitake mushrooms. 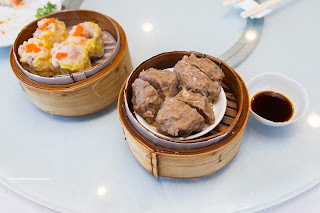 There was enough moisture where the dumpling had a nice mouth feel. I also enjoyed that the intermittent bits of chewy, natural textured bits of pork mixed with the binding mousse. As for the Ha Gau (Shrimp Dumplings), they were not as successful. 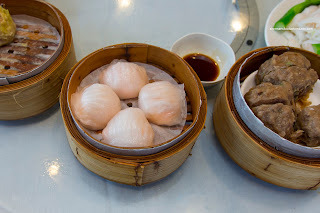 The thick and dense dumpling skin ensured that it was a fail even before we got to the filling. It's not as if the filling was anything to write home about either. I found it dense and lacking in moisture. Despite the presence of a light snap texture, it was completely overshadowed by the lack of airiness. On the same note, the Shrimp Rice Noodle Roll was too thick as well. Strangely, the thick rice noodle roll was not doughy. Rather it had a good amount of elasticity and the texture wasn't all that bad. 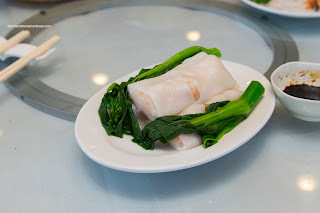 The problem was that it was double the thickness of most other rice noodle rolls. Therefore, the noodle was fine, but the execution (when they were applying the noodle batter to the tray) was sloppy. Inside, the shrimp filling was on point though with a flavourful snap and being well-seasoned. 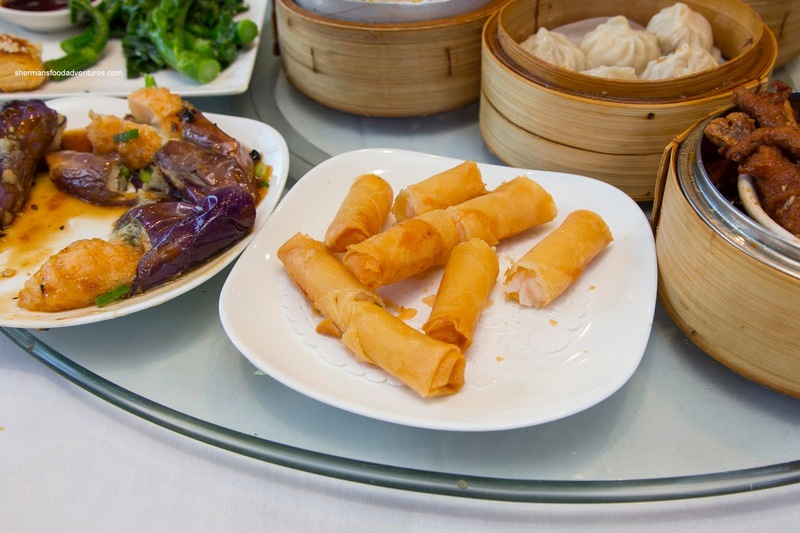 That was evident in the Shrimp Spring Roll as well where the filling was moist with a buttery snap. It was also the beneficiary of a boatload of garlic that tasted great. These were served hot with a light and crunchy exterior that was easy on the grease. 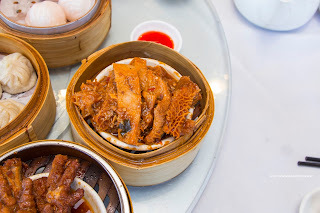 Off to some offal, we ordered the Steamed Tripe and Tendon. This was far too saucy where the flavours came on strong. There was an overload of sweet and saltiness that surprisingly didn't hide the gaminess of the tripe very much. There was some appealing spiciness though. In terms of texture, the tripe was a bit too soft and only had a light chew. The tendon was pretty soft, but still maintained its shape. 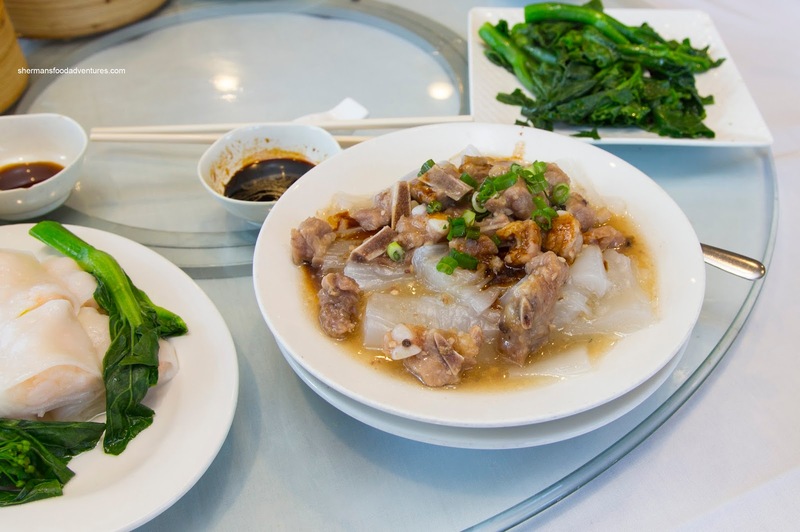 One of the larger dishes was the Steamed Spareribs atop crystal noodles. We enjoyed the chewiness of mung bean noodles where they soaked up the tasty black bean and rib juices. Although lacking bounciness, the pork ribs were tender with a meatier texture. Once again, we got the Xiao Long Bao despite our recognition they were not going to be very good. That they weren't where the dumpling skin was thick and doughy. Furthermore, there was no soup to be found. Inside, the pork filling was good though being moist, meaty and tender. 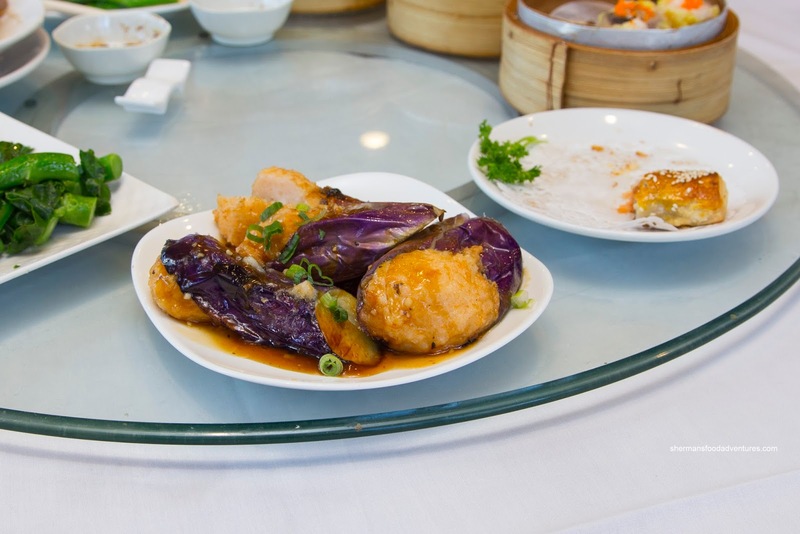 To be fair, there should be no expectation that XLBs would be good at a Cantonese restaurant. 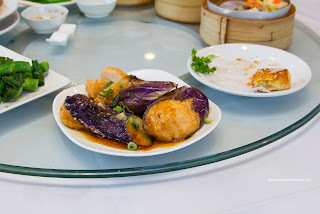 On the other hand, the Eggplant stuffed with Shrimp Mousse was pretty much on point. The mousse was airy and bouncy with enough seasoning to hold its own. I found the eggplant to be soft but not completely melted. Lastly, the black bean sauce was on the milder side, but there was enough inherent flavour. We also got the Phoenix Talons (Chicken Feet) as per usual. 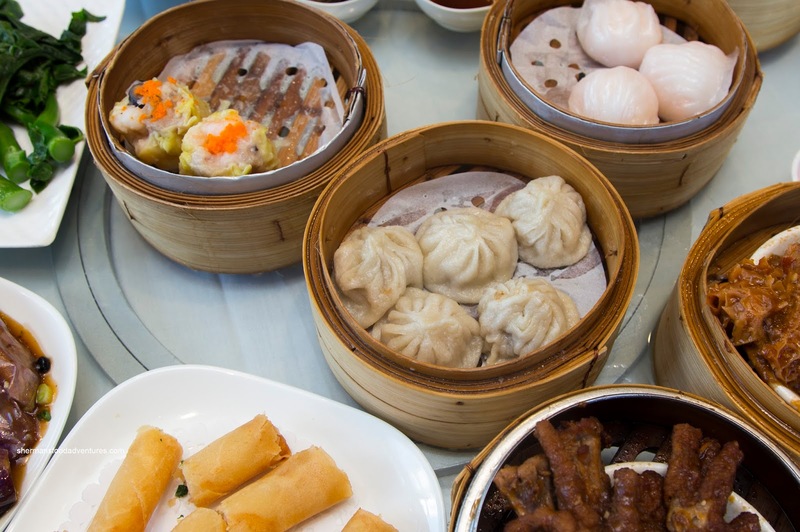 For me at least, I find them just as important as the ha gau. These ones passed the test being fairly plump with tender, yet not mushy skin. Underneath, the cartilage and fat were soft without melting away. Flavourwise, it was well-seasoned with garlic and black bean as well as a bit of spice. If you look at the picture of the Custard Bun, it is a closeup and not particularly well-styled. The reason for that was once I split the bun open, the custard ran out like water. It was far too thin and we lost most of it right away. 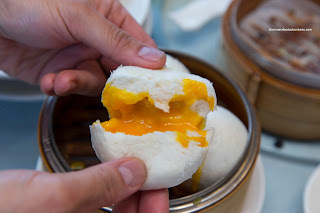 It was sweet and aromatic though while the bun itself was soft and airy. 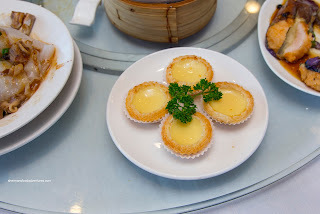 Lastly, we had the Baked Egg Tarts which ate better than they appeared. The buttery and flaky shell was cooked just right while the silky egg filling was just sweet enough. This ended a relatively uneven meal where some dishes were really good while some where pretty average-to-below-average. 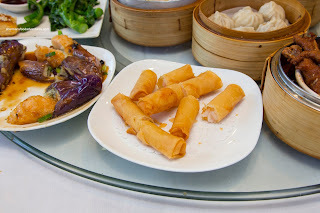 However, considering that the Dim Sum game out in the Tri-Cities area is pretty weak, Eastern Pearl does a decent job in a nicely renovated space. However, service can be rather poor depending on which server you get. Furthermore, I'm not sure why they refuse to answer the phone to take reservations.